Every online entrepreneur out there is curious about learning how to generate leads and make money from their online business. If you are in the e-commerce business, you need a well-defined sales process to operate more efficiently and grow your business. But to do this, you need to have a basic understanding of where to get your leads, how to follow up with them, and what measures you need to put in place to close the deal. Aligning your business with these basic principles will help you increase sales, improve data quality, and provide a more consistent customer experience. Using a CRM lead management software can help you take some of the load off your shoulders. Knowing your buyers, their needs, and the type of information they are looking for will help you keep your potential customers engaged throughout the buying process. Providing them with this valuable information at each step of the buying process is critical. When it's time to make the decision to purchase, they will consider you. But that's not enough; you will need to take further measures. First of all, you need to make sure that you provide the right content, at the right time to increase your chances of making a sale. On top of that, you need to ensure that you have a functional lead generation plan and how to map these leads into your funnel. The best way to achieve this is by adopting a lead management CRM software. Lead generation is a marketing technique that seeks to stimulate and capture the interest of a potential customer in a particular product or service so as to develop a sales pipeline. Lead generation utilizes digital channels. Since the rise of new online and social techniques in the past two decades, lead generation has been undergoing substantial changes. Specifically, the emergence of new approaches in developing and qualifying your prospecting leads before they are passed to sales as well as the abundance of information. This is the information age, and with it, comes changes in marketing techniques. The process of buying goods and services has changed. The world has gone from information scarcity to information abundance in a very short span of time. The abundance of information among potential buyers means scarcity of attention for online businesses. If you want to get heard amidst the noise, you need to find new ways to reach potential customers. Online businesses must focus on being found — increase their online presence — and building continuous relationships with potential buyers instead of finding customers with email blasts and mass advertising. When generating leads, businesses should be focused on building trust with potential customers so that when they are ready to make a purchasing decision, they will choose you. Lead generation is important to businesses that want to increase the awareness of their products or services and the company in general. It's important to keep in mind that getting a lead into your system isn't the end of your marketing efforts. The challenge is that most leads may not be ready to buy yet, and as a marketer, you need to engage them, or you will lose them. Earlier in the article, we discussed how to keep potential buyers engaged — providing relevant content throughout the buying process while making sure that your timing is right — which goes a long way towards the process of mapping your generated leads down the sales funnel. Typically, businesses use the word funnel to describe their sales processes. 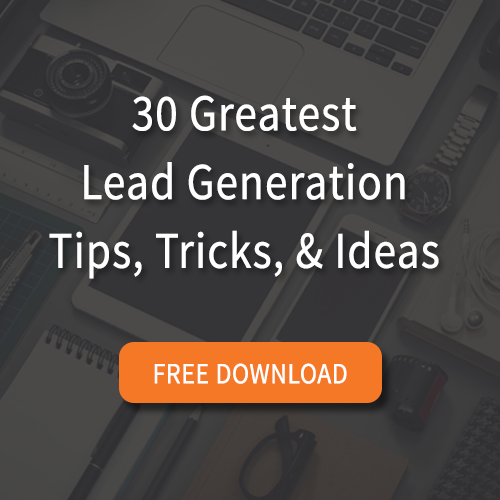 You get the highest amount of leads at the top of the funnel. The bottom of the funnel represents the leads that you are able to turn into actual customers. Know your target market– You can start by creating a blog and use it to share your knowledge with your prospects. Everyone keeps talking about what they can do. Take a different approach, share what you know. Spread the word– Share your content on different social media sites, try as many as you can. But only share to groups relevant to your industry. Being an active member of the communities that you share with is important. Contribute. Create helpful top-of-the-funnel (awareness stage) offers– Provide relevant 'how to' content and make it available to your prospects. You can package them as eBooks and include a call to action that leads to a helpful landing page. This can go a long way towards helping your prospects solve problems they are likely to face in the buying process. Nurture your leads– The chances are that your prospects will forget about you the moment they are done reading your eBook. If you decide to wait for them to come calling naturally, you might have to wait for a very long time. Send well timed follow up emails pointing them towards some of your consideration stage content. In most cases, if they find the content you've been offering them helpful, they will be happy to see that you have more for them. Once you have identified the steps you need to take to move potential buyers through the funnel, all you have to do is make sure that you keep providing a constant value. You will be flagged as spam if you send messages that are not relevant to your prospects' interests. Using a CRM lead management software to map your leads can greatly increase efficiency and reduce the amount of time the entire process takes. Whether you choose to use a CRM lead management software or not, taking the time to come up with a plan to map your generated leads to your funnel will increase the chances of providing the right content, for the right prospects, at the right time. This helps you leverage yourself as a well-informed subject matter expert and consequently, establish trust with your prospects. Nick began working with ZioSolutions in August 2016. Since then he has hit the ground running helping with the Inbound Marketing and Content Marketing strategies for ZioSolutions and our clients. Outside of ZioSolutions Nick enjoys staying up-to-date with the NBA and being an all around sports fanatic.